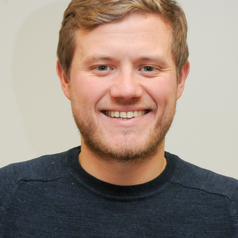 Mark joined GCU having just completed his PhD at the University of Edinburgh in 2015. His thesis examined the Republican party's challenge to the War on Poverty between 1964 and 1968 and he is currently working to expand it into book which will take the project into 1973 when the Nixon Administration closed the Office of Economic Opportunity (and thus effectively ended the War on Poverty). He has taught primarily American History for over five years at a variety of institutions. He currently teaches an Honours course on the 1920s and 1930s in the US. Mark is primarily interested in the political history of the twentieth century in the United States and the United Kingdom. In particular, he enjoys researching the influence of prominent politicians on their respective country's history. Are they able to instigate successful social change? Are they able to shape public opinion, or are they forever shaped by it? He is also especially interested in the intersection between politics and socio-economic policy in the US during the twentieth century. Mark co-hosts and produces the American History Too! podcast with Dr. Malcolm Craig. Episodes on issues ranging from the 1920s Scopes Monkey Trial to the HIV/AIDS Crisis in the 1980s can be found on iTunes or http://americanhistorytoo.podbean.com/.